You know the scenario: friends come over, want to use your Wi-Fi, and expect you to just hand over the password. I don't know about you guys, but I'm pretty weird about just giving my password to everyone who walks through the door, regardless of how well I know them. 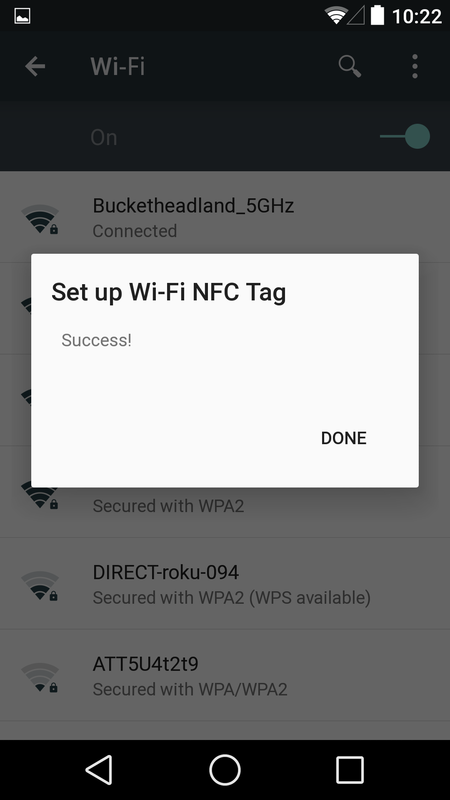 Most of time I opt to type my password in for them, but there is an easier way: store your Wi-Fi info on an NFC tag. 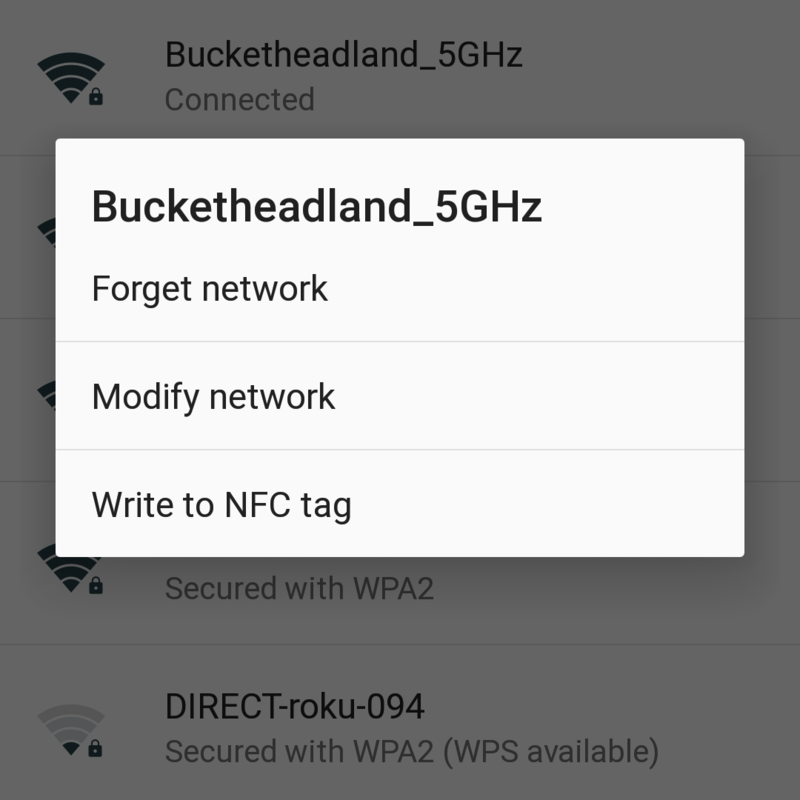 Then all it takes is one tap (assuming their phone has NFC, of course). 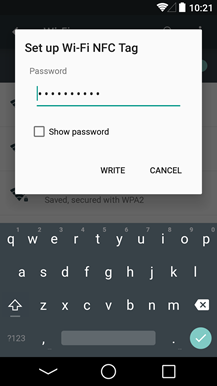 In current versions of Android, however, that requires a bit of extra work with third-party apps and whatnot. 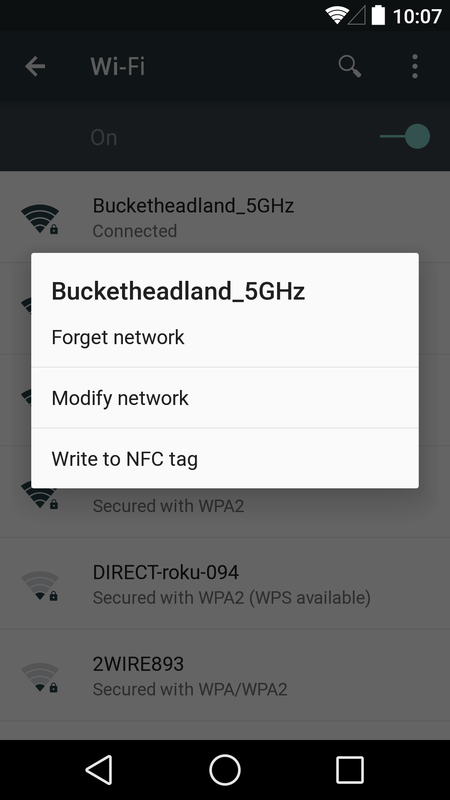 In L, there's an option to do it directly from the Wi-Fi settings menu, as shown above. Just long-press on the network, select the "write to NFC tag" option, fill in the password, and write away. 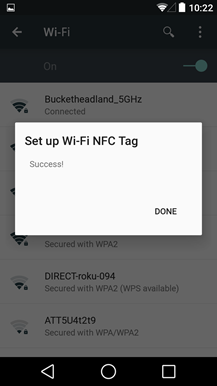 Now all your visitors with NFC-capable phones can simply tap the tag to join the Wi-Fi network. Easy peasy.